Affray has always been considered a serious offence and this is solidified by the recent inclusion of the offence within the Crimes Act 1958 (Vic). Prior to 13 September 2017, the offence of affray was contained within common law. Section 195H of the Crimes Act 1958 (Vic) sets out the maximum penalty, being five years imprisonment, or seven years if the offender is using a face covering to conceal their identity or to protect them from a crowd-altering substance. The offence of affray requires that there is violence, or a threat of violence, to the degree that a person of reasonable firmness would be terrified in the circumstances. Our client was a 21-year-old male at the time of the offence. He had been out drinking with some friends when a fight broke out at approximately 1:45 am between his group of friends and another group of men. Some of the people involved sustained injuries requiring medical treatment as a result of the fight. It was conceded that our client had played a minor role in the incident, notwithstanding the seriousness of the offence. Our client was arrested and interviewed approximately 10 days later, where he made full admission to being involved in the incident. The informant in the matter recommended our client be considered for the Diversion Program, as he had no prior convictions, had made full admissions and his role was at the lower end of the scale of offending. The Diversion Program is operated by the Magistrates’ Court of Victoria to enable first time offenders to avoid receiving a criminal record and divert them away from the criminal justice system. 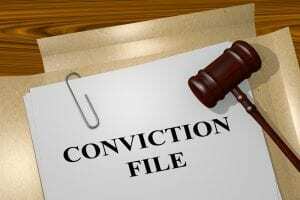 Successful completion of the program results in the charges being marked as “discharged.” Unsuccessful completion results in the charges being referred to open court. It is important to note that even if a magistrate does not record a conviction, the offence will appear on a person’s criminal record and does not automatically disappear after a set period of time if they are an adult. A magistrate must review the matter and deem it appropriate for the matter to proceed by way of Diversion. If the informant or prosecutor does not agree that the matter should proceed by Diversion, the notice is withdrawn and the matter will proceed in open court as any other matter would. However, if a magistrate does not agree that Diversion is appropriate, you are able to make submissions as to why it is appropriate. If the magistrate does not agree to place an offender on the Diversion program, the offender is not required to plead guilty to the offence (despite the fact that they are accepting responsibility) as it does not constitute a plea of guilty (s59(3) Criminal Procedure Act 2009 (Vic)). Our client had received a Diversion Notice from the informant when he received his brief. He attended at the court to participate in the Diversion Program, but the Notice was withdrawn by the police prosecutor. The matter was adjourned and he sought legal advice from our firm. Interestingly, a co-accused from the other group of men involved in the incident had also been recommended for Diversion by the informant, and was listed on a separate day to our client. A different police prosecutor allowed the matter to proceed by way of Diversion and the matter was adjourned to a future date to allow this to occur. Our office was aware that the co-accused had been given the opportunity of Diversion. Accordingly, we attended on the return date to argue that our client should be given the same opportunity and that the magistrate on the day could make the ultimate decision as to whether it should proceed according to the sentencing principle of parity (i.e. when people are charged with the same offence resulting from the same incident, they should receive similar penalties from the court). The prosecution conceded that it should be listed on the same day as the co-offender and the magistrate should decide. The parties attended on the final date where an interview was conducted with the Diversion Coordinator, who collected information from our client regarding his reasons for the offending and his personal circumstances. The matter was then discussed by the Diversion Coordinator with a magistrate. Unfortunately, the magistrate determined that the offence was too serious to proceed by way of Diversion but wanted to hear submissions as to why the client should be placed on the Diversion Program. The matter was called in court, together with the co-accused’s matter which had also been deemed too serious to be dealt with by way of Diversion. that any form of criminal record may affect his employment opportunities. The magistrate stated that he felt the summary indicated that our client was more involved in the incident than what we had submitted, and that the co-accused was the least involved. We submitted that this was not the case and provided the CCTV for the magistrate to consider. His Honour stood the matter down to consider the CCTV. The matter was recalled a short time later. His Honour agreed with our submission regarding our client’s involvement and granted Diversion in the circumstances. Our client was entered into a Diversion Plan which was to expire in 12 months. He was required to complete a number of conditions in that time which, if successfully completed, meant that the charge would be discharged at the end of the period. This was a fantastic result for our client, where he was given an opportunity that most people who are charged with affray would not receive. Our client initially thought that his options were limited given that the Diversion Notice was withdrawn by the prosecution in the first instance and was grateful that we were able to secure him the opportunity of avoiding a criminal record.